Mini and Group packages for the 2018 BNP Paribas Open, which will be held March 5-18, 2018, are now on sale! A favorite of tennis fans, the Mini Packages offer premium seat locations with five different options, including the Kick-Off Weekend (3/9-3/11), Evening (3/8-3/16), Mid-Week (3/13-3/15), Final Weekend (3/16-3/18) and the Championship Weekend (3/17-3/18). Premium seat locations range from Box Seats to Prime Loge sections. Purchase early to ensure the best seat locations. Group Packages offer a great value for ten or more patrons with a 30% discount on Prime Loge seating and one complimentary ticket for every ten tickets purchased. Tickets are available in all categories in Stadium 1, including Box Seats. 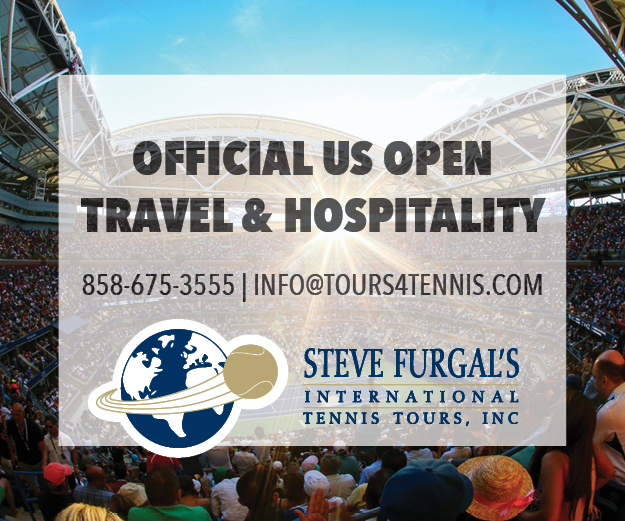 The All Pro Package allows groups to purchase 50 tickets or more, from any seating category, to any of the 21 sessions, and receive two complimentary Stadium Box seat tickets to any session of their choice, a great option for tennis clubs whose members may want to attend different sessions throughout the tournament. If you’re looking to bring a high school or college team to Indian Wells, the Team Package of ten or more per session is a 30% discount on Prime Loge seating, and includes one complimentary ticket for every ten tickets purchased and recognition for your team in the Stadium 1. For more information about each package and to view a complete listing of all package options and pricings, click the buttons above. If you have any other questions, or would like to speak with a sales representative, call the Indian Wells Tennis Garden Box Office at 800.999.1585.